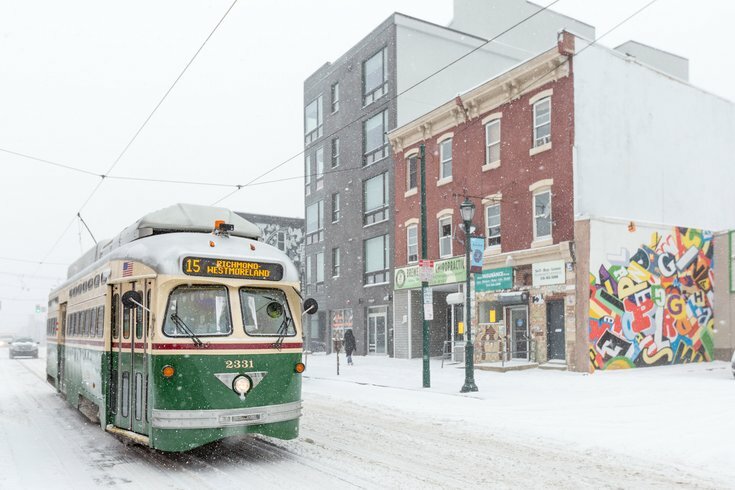 Philadelphia officials have declared a snow emergency ahead of a nor'easter that is expected to dump four to six inches of snow in the city, and as much as 12 inches in the northern and western suburbs. All Philadelphia public schools will be closed, as will city schools in the Archdiocese of Philadelphia. Other archdiocesan schools will follow their suburban districts. As part of the snow emergency, which will take effect at 8 a.m. requires all parked cars to be moved off snow emergency routes, enabling plows to clear the city's major thoroughfares. A map of the city's snow emergency routes can be viewed here. The effects of the nor'easter – dubbed Winter Storm Quinn – will begin as rainfall hits the area on Tuesday evening, according to the National Weather Service. It will turn over to a heavy, wet snow overnight. A winter storm warning will be in effect from 7 p.m. Tuesday until 3 a.m. Thursday for Philadephia and its northern suburbs. South Jersey, which is expected to get as much as six inches of snow, remains under a storm watch. City officials urged residents to travel with caution on Wednesday, particularly during the morning rush. SEPTA will operate on a severe storm schedule, with regional rail trains running on a Saturday schedule. All Philadelphia municipal offices and courts will be closed. The Philadelphia Streets Department will begin a salting and plowing operation at midnight Wednesday. Crews will begin plowing as the snow accumulates and will treat and plow neighborhood and side streets as conditions permit. Sanitation and recycling collections will be suspended. Residents are asked to hold their trash and recycling until Thursday. Thursday and Friday collections will be delayed by one day. The Philadelphia Parking Authority will offer 24-hour parking for $5 beginning at 7 p.m. Tuesday until the snow emergency is lifted. The offer is valid at six Center City garages. Beginning at 8 a.m. on Wednesday, the PPA will stop enforcing meters, kiosks and time limit violations. But it will enforce all snow emergency and safety violations. In the suburbs, Montgomery County declared a disaster emergency. All county offices and the courthouse in Norristown will be closed. The Delaware County Government Center and Courthouse, as well as other county offices, will be closed, too. Bucks County offices and courts will be closed. Chester County offices closed at 3 p.m. Tuesday, citing the inclement weather.